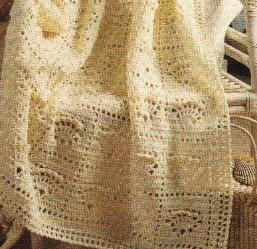 Here is another beautiful afghan for your to-do list! This Crochet Sea Shell Afghan found on MomsLoveOfCrochet.com is an easy pattern to memorize so you can work on it while watching TV, for example. The pattern would make an adorable baby blanket, the perfect gift for a new mom. Thanks to MomsLoveOfCrochet.com for the article inspiration and featured image. Ooooooooh @[1448943951:2048:Traci Gomez] lookie this!!! I’m gonna suprise you.